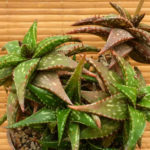 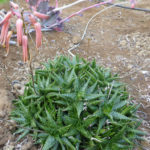 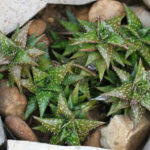 Aloe jucunda is a dwarf Aloe up to 14 inches (35 cm) tall, with small, flat rosettes up to 3.2 inches (8 cm) in diameter.The leaves are shiny, glossy, triangular, dark green, usually about 12, flecked with pale green spots, up to 1.6 inches (4 cm) long and up to 2 inches (5 cm) wide, with triangular teeth on the margins. 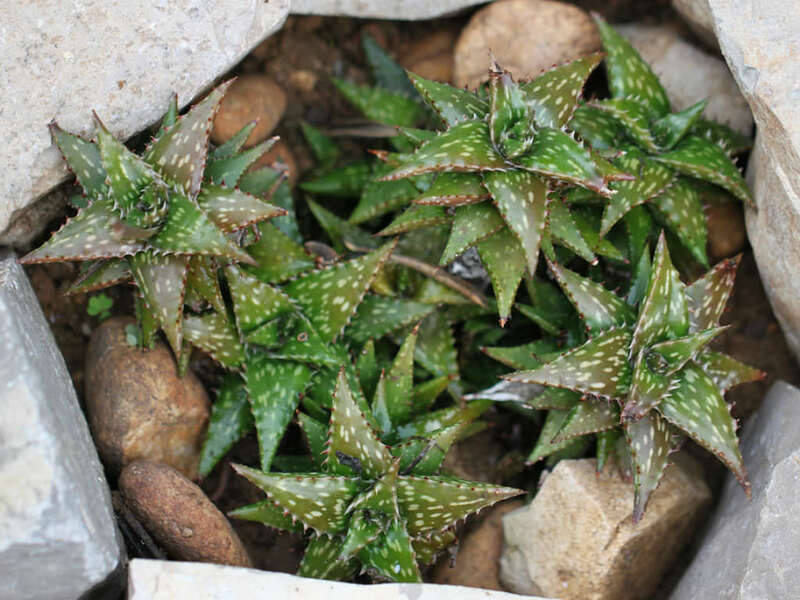 It clusters freely to form dense groups up to 3.3 feet (1 m) in diameter. 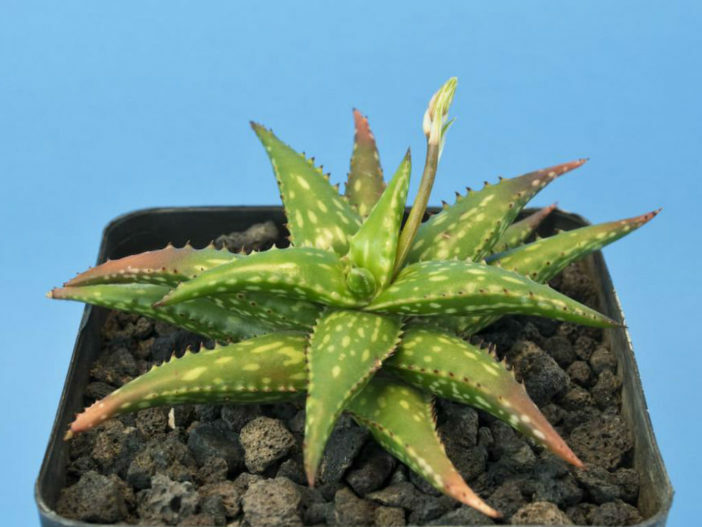 The inflorescences are single cylindrical clusters, up to 13 inches (32.5 cm) long, with about 20 flowers. 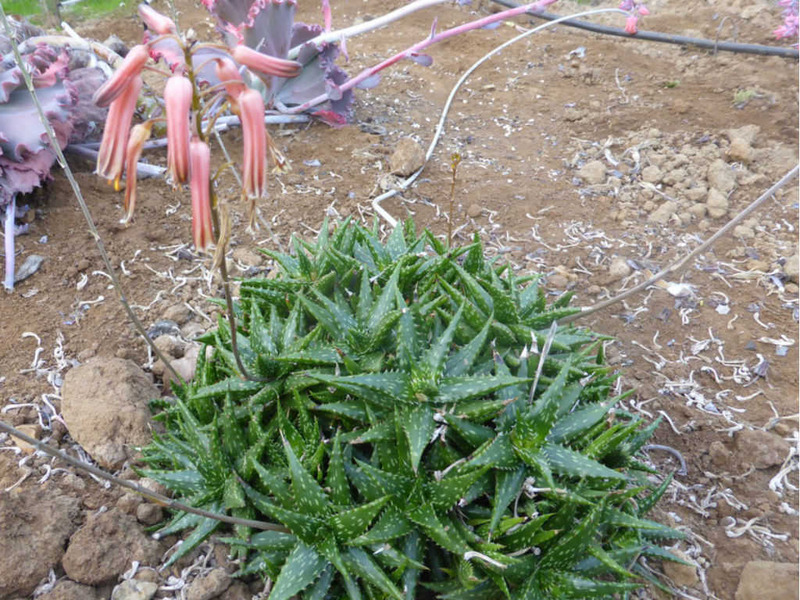 The flowers are pale pink to coral pink, up to 1.2 inches (3 cm) long and up to 0.3 inch (7 mm) across. 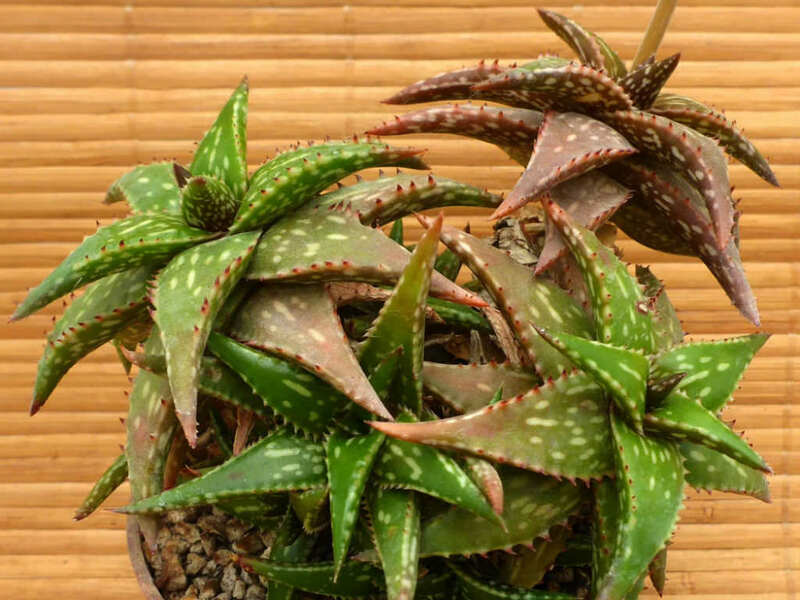 They are produced all year round whenever the growing condition are adequate.